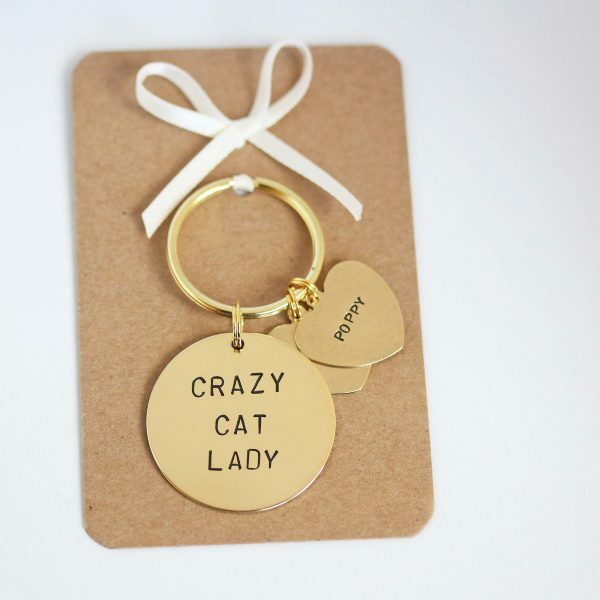 The crazy cat lady keyring makes a perfect little gift for the cat loving lady in your life, even if thats you! Choose to have the disc alone or make it extra special by adding cats names which are stamped onto small heart charms and attached to the keyring. The wording is individually hand stamped onto a brass disc which measures approximately 30mm and is 1mm in depth.The heart charms are smaller and thinner, the maximum is 10 letters per heart. 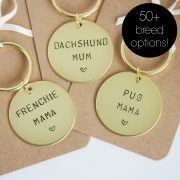 Please choose the amount of charms you would like and enter the names in the boxes before adding to your basket.